The name of our Karate style is Sho Shin Do, which translates as “The Way of the Beginners Mind”. As a style, Sho Shin Do is firmly based in traditional Japanese and Okinawan karate practices. With a focus on civil self defence and personal development, our classes are suitable for men and women, teenagers and adults. Building on our traditional Karate base, Sho Shin Do has been further developed with influences from Brazilian Jiu Jitsu, Aikido, Judo, Kendo, Filipino Martial Arts and other experience gained through years of cross training by your teachers. There are no secrets or hidden techniques, our curriculum is designed to give you the most complete instruction possible, showing you not only the how, but also the why. 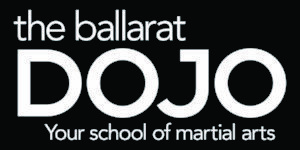 We believe that the martial arts are not simply about developing your proficiency with punching, kicking and grappling. Our primary goal for you in your training is not to be better than the person next to you, but rather to be better than you were yesterday. To be stronger, calmer, happier and more confident; to see yourself grow both physically and mentally.